I've been dealing with them for many, many years, so I've been satisfied and you can trust them. When they make an appointment, they keep it. They do the job, and I just appreciate the kind of work they do, you don't have to redo it. All the workers that have come out were gentlemen-like and polite. They are always willing to do whatever it takes to get the job done, they do it right the first time, and they are willing to answer whatever questions you may have. Their service is always very exceptional. They are always willing to help you, they always have a good solution for whatever problem you may have, and they never tell you 'No'. They actually know what they are doing. Adam and Dale are both amazing technicians and they are the only people I ask to call. They can always schedule me in, they do a great job, and if there are problems, they come back immediately to fix them. Reed Brothers Security provides a wide range of security services and products for residential and commercial clients throughout the Greater Bay Area. 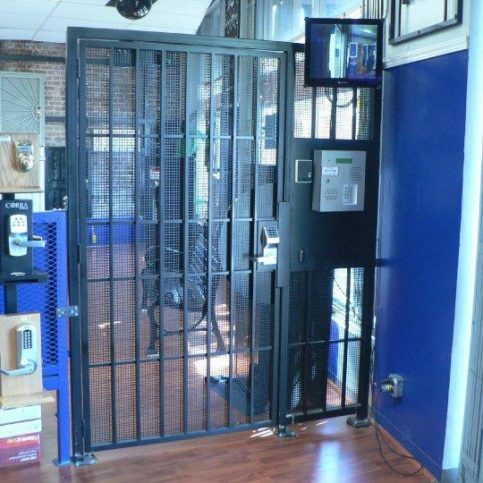 In addition to its 24/7 locksmithing capabilities, the company installs alarm systems, safes, security doors, gates, access control systems, cameras, and other modern equipment that’s designed to enhance the safety of customers’ homes and businesses. Reed Brothers Security provides security products and services for residential and commercial clients throughout the Greater Bay Area. 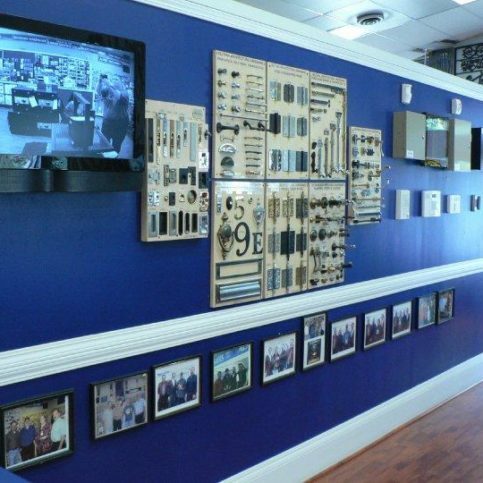 In addition to its 24/7 locksmithing capabilities, the company installs alarm systems, security doors, safes, access control systems, cameras, gates, and other state-of-the-art equipment that’s designed to enhance the safety of homes and businesses. 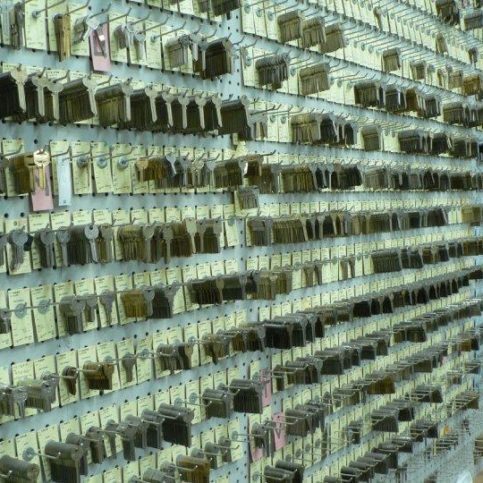 Another factor to consider when looking for a locksmith company is how many vehicles and technicians it has at its disposal. When you’re locked out of your home, car or office, you don’t want to wait several hours to get back in, so make sure your locksmith has plenty of on-call resources and can offer fast response times. Q: Are you available 24/7? A: Yes. We have multiple vehicles and technicians on call at all times, so we’re able to offer very fast response times. Q: What do I need to do to secure my home or business? A: That depends on your security needs. We’ll work with you and do a security assessment based on your concerns, the people and valuables you need to safeguard, your location, and other factors. We’ll ask about the triggering event that caused you to call us. Were you locked out or robbed? Have there been a string of burglaries in your neighborhood? 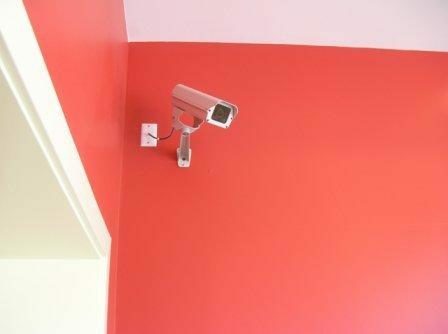 Are you unsatisfied with your present security system? Once we know all this information, we can develop a security system that’s right for you. Q: How soon can you come set up my security system? A: We can usually be there the same day for an estimate and the next day for the installation. Custom systems may take longer because we have to order the equipment. Q: How much does an alarm system cost? A: Alarm systems aren’t one-size-fits-all solutions, so they’re priced differently depending on what they do. Sometimes an inexpensive alarm system will solve your problem, but those systems can be a waste of money if they don’t effectively secure your property. Q: Are digital keypad locks a good solution? A: They can be, but they have strengths and weaknesses just like any system. Keypads save on key control costs, but they decrease security because the code can be passed to other people. Keypads are best used to control places that many people have access to but don’t contain high-value items. Reed Brothers Security serves clients throughout the Greater Bay Area. 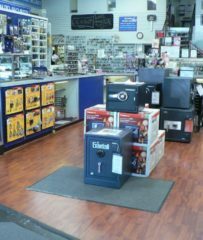 Reed Brothers Security sells and installs safes. 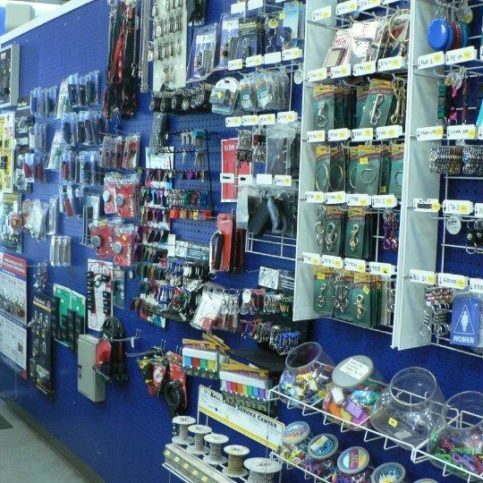 The company supplies a full range of security services and products. 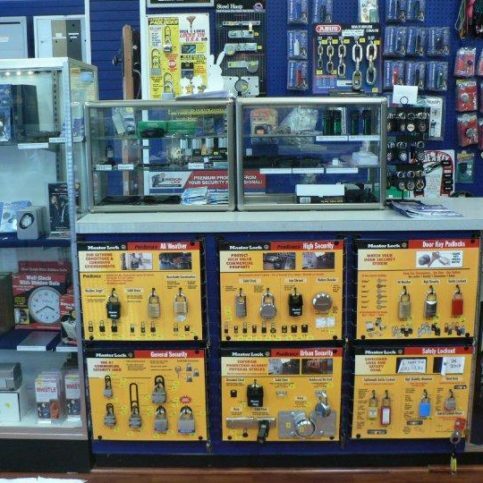 The company offers 24-hour emergency locksmithing service. 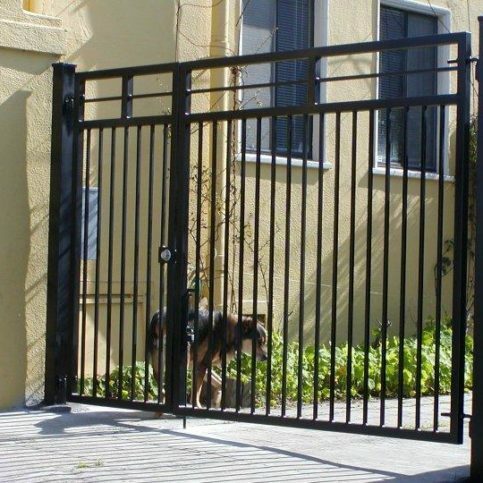 The company also installs alarm systems, security doors and gates. Reed Brothers Security installs access control systems and cameras. Randy Reed is a lifetime veteran of the locksmith trade and owner of Reed Brothers Security, a Diamond Certified company since 2013. He can be reached at (510) 456-0989 or by email. A: Both. I’m a bit of a politics junkie, so I enjoy following the news and hearing arguments from different perspectives. A: Otaez Mexican Restaurant in Alameda. On a normal door, the deadbolt strike plate is only 2 inches long and fastened by 1/2-inch screws—hardly adequate for protecting against kick-ins. To give your door jamb maximum reinforcement, install an 18-inch door strike plate that’s fastened by 3 1/2-inch screws, which will secure the strike plate not only to the door jamb, but also to the double studs in the wall. Once you have a good deadbolt strike plate installed, the next step is to reinforce the outer edge of the door itself. Since the installation of a deadbolt creates a 1-inch bore through the door’s edge, the actual wood in this area is only 3/8 of an inch thick. To reinforce this area, install a door edge stiffener—fastened with two binder bolts, it sandwiches the door’s edge with two pieces of metal to reinforce the weak spot. Lastly, you need to protect the hinge side of the door, which involves a couple of steps. First, make sure your door has three hinges with a four-screw hole pattern. Some door hinges only have a three-screw hole pattern, but this doesn’t provide adequate protection. Additionally, both in the center of the door stop and the door itself, replace any 3/4-inch screws with 3 1/2-inch, #9 deck screws. This will ensure your hinges are securely attached to both the door and the wall stud. 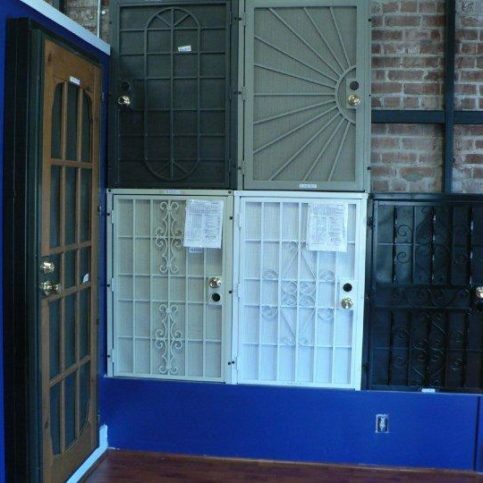 In addition to addressing these crucial areas of your door, make sure the door itself is sturdy. If you have a 1 3/8-inch thick door, upgrade to a 1 3/4-inch solid wood door. Also, make sure the quality of your lock is decent. Even though most locks look the same, their quality can vary from Grade 3 to Grade 1. Grade 3 locks should only be used on interior doors—they’re hollow, made of pot metal and easily broken with a hammer. Grade 2 and Grade 1 locks, on the other hand, are tested by the Builders Hardware Manufacturers Association and rated for their strength, so make sure your exterior door has one of these. OAKLAND — Your home may be equipped with a good security system, but if you own a lot of valuables, you should consider buying a safe. 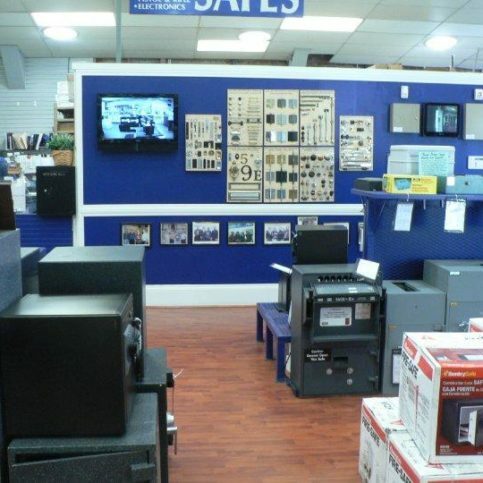 However, not all safes are alike, so it’s important to look for quality when making your purchase. Most safes sold at big-box stores are lightweight units made of a special kind of insulation that’s covered with sheet metal. 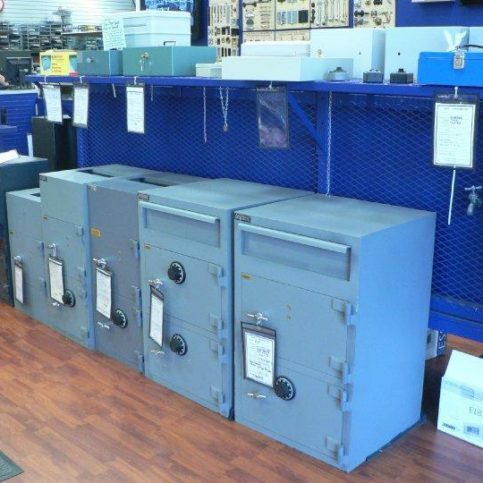 While these safes may provide some protection against changes in temperature, they aren’t appropriate for storing valuables, as they can be easily pried open with a crowbar or screwdriver. 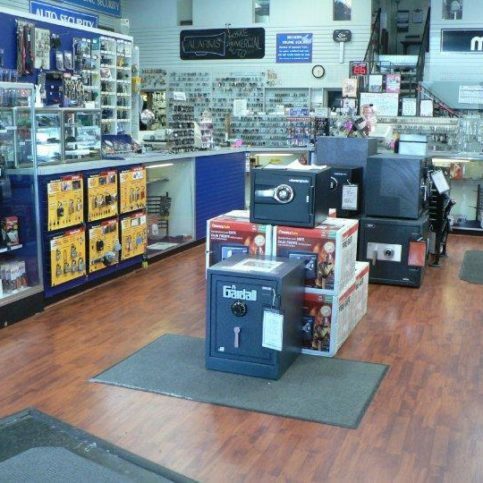 A better option is to visit a store that specializes in home security and ask for a high-quality safe that provides adequate protection. 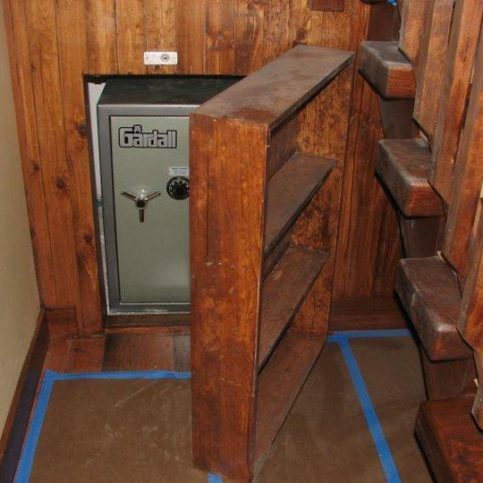 Even if you get a high-quality safe, if it isn’t bolted down, it won’t be very secure—all a burglar needs to do is haul it away. In fact, the insurance industry considers any safe under 750 pounds totally portable if it isn’t bolted down. Most safes come with pre-drilled holes for this purpose; if yours doesn’t, you’ll need to drill your own. Another feature to consider when buying a safe is an electronic lock. Electronic locks are just as secure as mechanical ones but easier to use. After all, with the prevalence of digital devices nowadays, most people feel more comfortable punching in a digital code than turning a dial. What’s more, having a safe that’s easy to use means you’ll be more likely to use it. OAKLAND — Host, Sarah Rutan: As your home’s first line of security, you’ll want to make sure your exterior doors are properly reinforced against break-ins. Today we’re in Oakland with Diamond Certified Expert Contributor Randy Reed of Reed Brothers Security to learn more. Diamond Certified Expert Contributor, Randy Reed: Okay, what I’m going to talk about is how to harden your door against break-ins. And, the primary form of break-in is a kick-in where someone goes to the outside of your door and kicks the door in. The reason they’re able to do that – well first of all, here’s my display. I have a door, a door jam, and the stud wall surrounding it. On a normal door where you have a deadbolt, you’d have a strike plate this size. It’s only two inches long, and it’s held in by half inch screws. So, if they kick the door in, all they have to do is kick in a little bit of door jam. If you’ll notice it’s only half an inch thick. That will then fly across the room, the door flies open, they shut the door, no visible means of entry from the outside. What you need to do is put an eighteen inch door strike plate on here using three and a half inch number nine deck screws that go through the strike plate, the door jam, the shim space, and the double studs in the wall. Now they’re forced to kick in eighteen inches of double studs. That’s not going to happen. The next thing is – once you have a good deadbolt installed – is to make sure that the edge of the door is reinforced. Where you have a one inch bore through the edge of the door, you have to reinforce the wood where it’s only three eighths of an inch think. You have two plates – it’s called a door edge stiffener. It’s held on to the door with two binder bolts and sandwiches the door. Lastly, you need to protect the hinge side of the door. You need to make sure you have a couple of things. That you have a four screw hole pattern on your hinges, and that you have three hinges on the door. If you only have a three screw hold pattern, replace your hinges. We recommend a minimum of a four by four – four inch by four inch hinge. You want to replace the screws in the center of the door – which are three quarter inch screws – with three and a half inch number nine deck screws that are hardened so that you securely attach the hinges three and a half inches into the door. And, on the door jam, do the same thing with the two screw holes closest to the door stop. You want to make sure that those three quarter inch screws are all replaced with three and a half inch number nine screws. That way they go through the door jam, the air gap, and into the double studs, and now you have securely attached your door and jam to the wall so it cannot be easily kicked in. Okay, the final issues you should be concerned about when you’re making sure your door is resistance to kicks is you want to make sure you have solid wood door that’s one and three quarter inches thick, not one and three eighths. If you have a one and three eighth inch door, upgrade it to a one and three quarter, and it needs to be solid. Next, you want to make sure that the quality of your lock is decent. These all look the same, but they’re completely different. This is a grade one, a grade two, and a grade three. A grade three lock is only for use on interior doors. It’s made out of pot metal, it’s hollow, and you can break it off the door with a hammer. Hit it at 12:00 and it falls off the door. 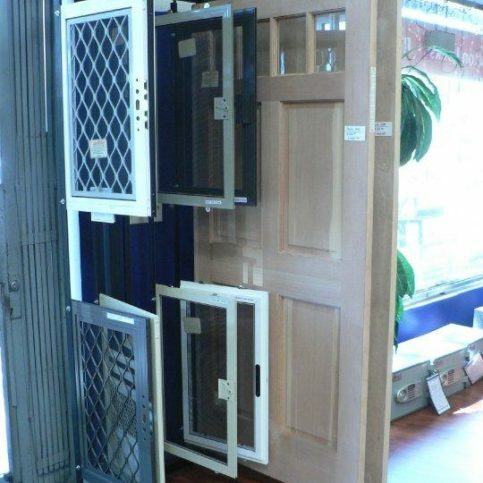 A grade two and a grade one are actually tested by BHMA – which is Building Hardware Manufacturers Association – and rated for two kicks at sixty pounds, two kicks at ninety pounds, two kicks at a hundred and twenty pounds, and then for grade one they add two more blows at a hundred and fifty. A grade three is only rated for sixty and ninety. OAKLAND — Host, Sarah Rutan: You might assume that one safe is as secure as the next, but to ensure the safety of your valuables, it’s important to choose one that provides maximum protection. To learn more, we’re in Oakland with Ron Reed of Reed Brothers Security, speaking on behalf of Diamond Certified Expert Contributor Randy Reed. Ron Reed: What a typical consumer needs to know about a safe that they might find, say, at a big-box store, is that most of those will be very lightweight units that are made out of a special kind of a insulation, and it’s covered with sheet metal. The special insulation gives off steam if you heat it up, and that steam keeps everything cool inside the safe. However, it’s totally inappropriate to put anything of real value in there because it can easily be pried open with a small screwdriver or a crowbar. The safe is usually covered in very thin sheet metal or plastic that will give way and tear or break if someone tries to pry it open. Another thing you need to know about any safe that you’d like to be there when you get home is that it needs to be bolted down. A insurance industry feels a safe is totally portable if it doesn’t way at least seven hundred and fifty pounds, or it’s bolted down. Most safes come with a hole in it to – that’s already there – to bolt it down. If it doesn’t, you need to drill your own holes because it’s absolutely essential. Another thing you might want to consider is buying a safe with an electronic lock on it. Electronic locks are quite secure. They’re just as secure as mechanical ones, but they’re much easier to use. And because they’re much easier to use, people are more likely to use them. People tend to have a mental block against dialing it four times to the left, and three times to the right, two times to the left, and like that, to get a mechanical safe open. Whereas, they feel more comfortable punching in a really brief number to open a safe. And, if you’ve got something that’s easy to use, turns out you’re much more likely to use it, and why would you have it if you weren’t going to plan to use it all the time. OAKLAND — Host, Sarah Rutan: Thanks to innovations in security technology, it’s now possible for home and business owners to control their security systems via their mobile phones. To learn more, we’re in Oakland with Mike Salk of Reed Brothers Security, speaking on behalf of Diamond Certified Expert Contributor Randy Reed. Mike Salk: I think we can all agree that the pace of life has increased significantly lately. I found an application here that adds to the quality of life and peace of mind. It’s a remote application to control your home or business alarm system from your phone. So, you leave the house in the morning busy, and your mind is occupied with other things. You can’t remember whether you armed the system or not . You don’t have to turn around and go back home. You simply pick up your device, log in, and find that it was disarmed, and you arm it remotely. The system can be armed and disarmed remotely from the device simply with the push of a button. So, if you have a contractor coming to do work, instead of giving him the key, have him call when he gets to you home, and you push the disarm button. Have him do his work, when he calls you and says he’s finished, you go ahead and arm the system for him. No keys, no alarm codes. It can also control things like your front door lock. If you need to lock the door because you may have forgot to lock it, or the kids left for school and forgot to lock it, you simply push the lock button. It sends a signal to the lock, and the lock is now locked. You can control your thermostat – turning the temperature up or down – and you can control lighting simply with the push of a button from anywhere in the world. In addition to controlling your devices, you can also check your event history in your alarm system. This will tell you who locked and unlocked the door, who turned the alarm on and off, and what caused the alarm. It will be particularly useful if you get a call from the central station telling you had an alarm condition at your home or your business. You simply log on to your app, and then you can make the decision as to whether you want the police dispatched or not. I think you’ll agree that this will add peace of mind and a quality of life. Reed Brothers Security : Average 8.6 out of 10 based on 172 unique customer surveys of customer satisfaction. I thought they were good. I didn't have to do much and the set-up looks great. They are our go-to people. I have not seen any other company on the property but them, so that should make a statement. I like the guys. They are very nice guys. You can be confident that the job will get done and get done well. They always seem to come up with a solution to a lock problem. They do whatever it takes to meet our new and scalable needs here at the school. Nothing specific, they just do what they say they will do. They do what it takes to get everything done in a reasonable amount of time without disrupting the class schedule. They are willing to work a little later for no extra charge to make sure that the job gets done on time and as scheduled. We manage over 50 HOA's, and they work with quite a few account managers of those HOA's. I know just from that, that they are very high quality as far as vendors go. They tend to get things done from what I hear from all of the different account managers. They have been good. The past manager had used them prior and then I took over and like them. We had a few upgrades to our doors and cameras. It was one of the easiest things on my to-do list. They are always just a call away if we have any issues with anything. 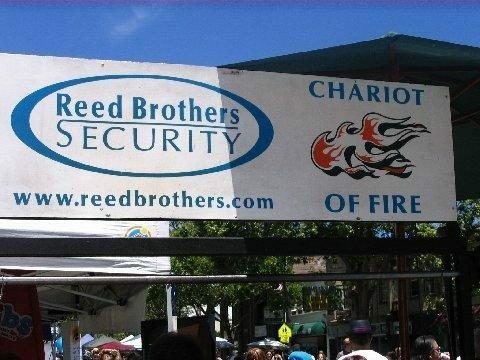 If you are in trouble, call Reed Brothers. They are very prompt and very trustworthy. The workmen are neat and very professional. The jobs don't take forever. They are very professional, honest, and they explain in detail what will be done. I really enjoyed working with them. I like our new upgraded locks, because they are much easier to use. I think just the ease of use, as they were prompt and made things smoother than I thought it would be. They work within many different aspects here with my team and many others. For us directly, they are great. I like the guys who come in and do the work. They are quick and are not too much of a distraction to the team. 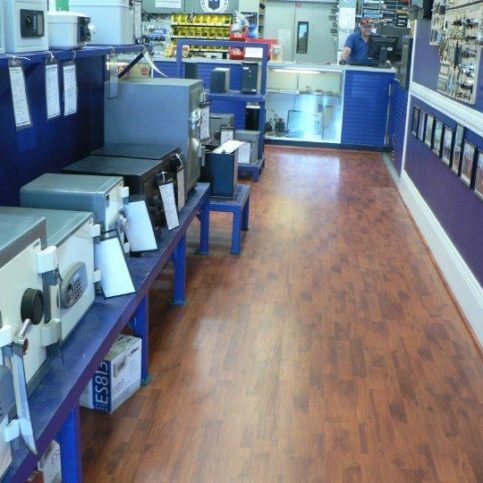 They are very helpful, honest, and care about their customers. They have been good, no complaints from anyone here. They are here when they say they will be. I think they are fantastic. We have been using them for thirty years. They explain what they are going to do step by step. Also, the lady in accounts receivable is a kick in the pants. If we call and ask where our bid is, she makes it a point to get the information for us immediately. Randy Reed owns it and I've known them a long time. If I need to pick up the phone and call Randy, I can. For key servicing and different things of that nature, you can talk to dispatch and have them send someone who knows your building, so they're very well coordinated in the office. The consistency, that they get the job done, that they're dependable, and the price is fair. I'd give them their phone number and tell them to call them. They had all the things that I needed and services I needed.